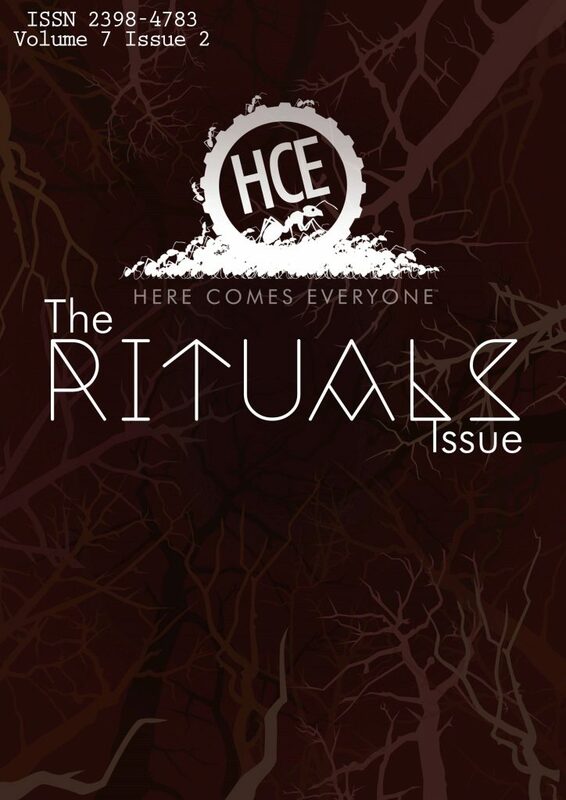 The Rituals Issue is now available to buy! Click on the image to visit our shop page. I am an artist/creative based in north London. I believe that art does not discriminate. Art is for everyone and should have no cultural or visual boundaries. I’ve been lucky to witness the transformative effect that art can have on an individual and on a community, especially when that individual and community have the chance to utilise art as a platform for expression. Remi Andrews is a Birmingham based, multi-disciplinary artist/ street artist, formally trained at the Birmingham School of Art. Her work is informed by an abiding interest in subcultures and the politics of urban environments and the upcycling of discarded and disposable materials from the city. This form of ‘low-art’ allows Remi to explore the interplay of materiality and association, repurposing every day, mundane objects and creating installations that are inspired by the places and people she is exploring and meeting. Remi’s ideas stem from her philanthropist nature, her work aims to represent minorities that do not have a voice or a platform and provide an alternative method of educating individuals of the political injustice that is committed daily to marginalised social groups. Drawing from popular media and motifs in order to create broad cultural understanding, focusing on topics ranging from homelessness to the history of underground rave culture, her work airs matters in a way that is accessible and understandable, but also critiques prevailing environmental issues. It is crucial to Remi’s practice that her work is site-specific and publicly engaged, her vision is to create a completely immersive experience that relies on the energy and reaction from her audience. Resonating a postmodernist attitude, her artwork creates a narrative of scepticism regarding socially conditioned practices and general morality, alluding to the importance of political influence and subcultures within her practice. This creative embodiment of varying political and social issues acts as a trademark of Remi’s style, a juxtaposition of urban imagery within a white cube gallery space, creating conversation and contrast of exhibition spaces and audiences. Her pictures in the magazine are part of ‘DIY Youth Culture’, a past exhibition exploring the theme of rave culture, youth identity and alternative lifestyle. The idea of ritual within this facet of dance music has inspired Remi to create works that are symbolic or tribal, uniformed movement and expression of identity. SARA BARNETT is an award-winning artist in New York City, appearing on stage and screen with several publications of poetry and fiction. Having just portrayed Laura in The Glass Menagerie, she can currently be read online and abroad in the following literary magazines: Arsenic Lobster, Gingerbread House, The Hungry Chimera, Beautiful Losers, The Ginger Collect, Harbinger Asylum – and in Anima Poetry, also published in the beautiful UK. Robert Beveridge makes noise (xterminal.bandcamp.com) and writes poetry in Akron, OH. Recent/upcoming appearances in COG, OUT/CAST, and Up the River, among others. Rick Blum has been chronicling life’s vagaries through essays and poetry for more than 25 years during stints as a nightclub owner, high-tech manager, market research mogul, and, most recently, old geezer. His writings have appeared in Firewords, The Satirist, and The Moon Magazine, among others. He is also a frequent contributor to the Humor Times, and has been published in numerous poetry anthologies. He and his wife, Jennine, reside in suburban Boston. Born in Canningtown, East London, I studied Art & Design at East Ham Community College before going onto complete a Degree in Fine Art at West Surrey Institute of Art & Design. Painting & drawing are how I work out my ideas and form the basis of my work practice. I enjoy working with narrative structures. I currently have a small painting in an exhibition called Traumascapes and Landscapes of the Interior at Nottingham University in partnership with Nottingham City Arts. Originally from Ireland and living in Australia, Anne Casey is an award-winning poet, writer and literary editor with work appearing internationally in newspapers, magazines, journals, anthologies, podcasts, broadcasts, videos, music albums, a stage show, an international art exhibition and her poetry collection, where the lost things go (Salmon Poetry 2017). Her writing and poetry rank in The Irish Times newspaper’s Most-Read. She has won or been shortlisted for poetry awards in Ireland, Northern Ireland, the USA, the UK, Canada and Australia. Over a 25-year career, Anne has worked as a business journalist, magazine editor, media communications director and legal author. Jim Clarke’s life revolves around a careful and assiduously enacted set of rituals based upon the reading of philosophy, the navigation of airports, the miseducation of youth, the consumption of protein, the practice of journalism, the mastery of invented languages, the mysteries of espionage, connoisseurship of whiskey, speculation about aliens, and the pursuit of enlightenment. Clive Collins is the author of two novels, The Foreign Husband (Marion Boyars) and Sachiko’s Wedding (Marion Boyars/ Penguin Books). Misunderstandings, a collection of short stories, was joint-winner of the Macmillan Silver PEN Award in 1994. He was a short-listed finalist in the 2009 Flannery O’Connor Award for Short Fiction. Carried Away and Other Stories is now available from Red Bird Chapbooks. Jane Commane is Editor/Director at Nine Arches Press, co-editor of Under the Radar magazine, co-organiser of the Leicester Shindig poetry series, and also co-author (with Jo Bell) of the handbook/blog series How to Be a Poet. In 2017 she was awarded a Jerwood Compton Poetry Fellowship. Jane’s first full-length collection, Assembly Lines, was published by Bloodaxe in 2018. Kym Cunningham received her MFA from San Jose State University with emphases in creative nonfiction and poetry. She acted as the lead Nonfiction Editor of Reed Magazine, the oldest literary magazine West of the Mississippi. She received the Ida Fay Sachs Ludwig Memorial Scholarship, the Academy of American Poets Prize, MARY’s Editor’s Prize, and two Pushcart Prize nominations for outstanding achievement in her writing. Her writing has been published in more than a dozen literary journals and two anthologies. Her first poetry chapbook was published in February of 2018. Jodie Day is an analog collage artist who works under the pseudonym Sacred Cuts. Her works deals with themes of transendancy, rituals, and other esoteric philosophies. She studied Fine Art in London, where she lives and works. Rose is a fiction writer who is interested in the meeting of the magical and the everyday, and the strangeness that intrudes on our lives. She writes young adult fantasy novels, but this piece was inspired by the stories of her family in Newcastle during her grandmother’s early life, and the dreams she had after her grandmother’s death. Rose’s debut novel The Harm Tree will be published in 2019 by UCLAN Publishing. Sarah Evans has had many short stories published in anthologies, magazines and online. Prizes have been awarded by, amongst others: Words and Women, Winston Fletcher Prize, Stratford Literary Festival, Glass Woman and Rubery. Other publishing outlets include: the Bridport Prize, Unthank Books, Riptide, Best New Writing and Shooter. Writing poetry is a more recent venture. Pat Findlay writes ‘all age poetry’ to share with family and friends. In her poems she enjoys weaving threads of; passing time, health, the weird and the wonderful with touches of magic. The theme ‘Rituals’ has enabled her to explore some darker avenues of human experience. Louis Gallo’s work has appeared or will shortly appear in Wide Awake in the Pelican State (LSU anthology), Southern Literary Review, Fiction Fix, Glimmer Train, Hollins Critic,, Rattle, Southern Quarterly, Litro, New Orleans Review, Xavier Review, Glass: A Journal of Poetry, Missouri Review, Mississippi Review, Texas Review, Baltimore Review, Pennsylvania Literary Journal, The Ledge, storySouth, Houston Literary Review, Tampa Review, Raving Dove, The Journal (Ohio), Greensboro Review, and many others. Chapbooks include The Truth Change, The Abomination of Fascination, Status Updates and The Ten Most Important Questions. He is the founding editor of the now defunct journals, The Barataria Review and Books: A New Orleans Review. Louis teaches at Radford University in Radford, Virginia. Stephanie Goldberg is a disabled queer writer living in London. Her work has been published in the A3 Review, Here Comes Everyone, Queer Episodes (anthology), Time Out Sydney and Spilt Milk Magazine, and performed at Watford Palace Theatre and White Rabbit. She has performed on stages throughout the UK, Ireland and Australia and hosted umpteen queer cabarets. Stephen Ground’s work has appeared in numerous publications, including Typishly, Flumes Literary Journal, Here Comes Everyone, and forthcoming from Dark Ink Magazine. He holds a degree in Theatre Studies and a certificate in Community Arts from York University, and resides in Milton, Ontario after a seven-year retreat to the prairielands. David Guy has written picture books for children, including the books The Saddest Bear of All, Do Not Disturb The Dragon and Spiders Are Wonderful, as well as poems, short stories and fairy tales for adults. He lives in Essex. His story The Reading, or Performance Anxiety was performed at The Liars League in London in 2016. Several more of his short stories have been published in anthologies, including the adult fairy tales The King And The Light, The King’s Daughter and The King’s Son, and The Man Who Left. Jackie Hagan is a working-class, queer amputee; a multi award-winning playwright, poet and stand-up comedian; and a Jerwood Compton Poetry Fellow. She is passionate about inclusivity in the widest sense and experiences often excluded from the mainstream narrative. She has performed and delivered workshops in hundreds of venues including prisons, homeless shelters, and high-secure psychiatric units as well as large scale theatres such as Southbank, Bristol Old Vic and Wales Millenium Centre. Her plays have been produced by Graeae, Royal Exchange, Contact and Hope Mill. In 2018, she went on tour with her current solo show This is not a Safe Space. Jackie is also a Jerwood Poetry Compton Fellow. Steve Harrison was born in Yorkshire and now lives in Shropshire under the shadow of The Wrekin or just off the M54 on his non-poetic days. His work has been anthologised in both Emergency Poet collections, by Wenlock Poetry Festival, The Physic Garden, several charity publications, Popshot and Poets’ Republic magazines and appears in this season’s Wetherspoon News. His on-line appearances include Riggwelter, Fair Acre Press, Poetry Village and Poetry on Loan. He regularly performs across the Midlands and he won the Ledbury Poetry Festival Slam in 2014. Ceinwen lives in Newcastle upon Tyne, UK, and writes short stories and poetry. She has been published in web magazines and in print anthologies. She graduated with an MA in Creative Writing from Newcastle University in 2017. She believes everyone’s voice counts. Juleigh Howard-Hobson’s otherworldly poetry has appeared in Silver Blade, Into the Willows, Star*Line, Polu Texni, Faerie Magazine, Abridged Magazine: Wormwood Issue, Dark Gothic Resurrected Magazine, Illumen, Enchanted Conversation, “The Literary Whip” (Zoetic Press podcast), and The 2018 Rhysling Anthology (The Science Fiction Poetry Association)…and many other places. She lives at the edge of a dark forest in Deepest Cascadia with her family and a black dog named Grim. The dog may or may not be mortal. Nick Knibb aka The Archbishop is a poet based in Earlsdon, Coventry and regularly performs between music acts as well as festivals and open mic nights. He is Poet in Residence at Coventry Music Museum. I grew up in the north of England but moved to Devon in 1998. Over the years, I have written articles, poems, flash fiction, a couple of very short children’s stories and a novella (light crime). I have also written a number of doggerel scripts which I have used with adults with learning difficulties. I am 65 years old. Ewa Mazierska is historian of film and popular music, who writes short stories in her spare time. Several of them were published or accepted for publication in literary magazines: The Longshot Island, The Adelaide Magazine and The Fiction Pool and Literally Stories. Usaama Minhas is a spoken word poet and hip hop artist. Having won several poetry slams across 2017, including the Hackney Hammer & Tongue slam, Kat Francois’s WORD4WORD (April) and the Genesis Poetry Slam (May), he was also long-listed for the Outspoken Prize For Poetry. In 2018, Usaama became the Hammer and Tongue National Slam Champion. Since retirement I have been able to respond to the writing bug, undertaking courses and writing numerous short pieces and two unfinished novels. Isabella Morris has worked as a travel writer, editor, speechwriter, and ghostwriter. She has published three non-fiction books and one book of short stories, and her short stories have been published in several international anthologies. Her entire collection of short stories is currently being translated into Arabic for publication in 2019/2020. Her unpublished novel Those Who Burn was shortlisted for the Penguin Prize for African Writing in 2010. She lives in Johannesburg and teaches travel writing and holds fiction workshops. She holds an MA in writing from Wits University, and is pursuing a PhD in writing from UKZN. Jen Mundy is a Philadelphia based artist. Diagnosed with a learning disability at a young age, she found verbal and written communication difficult. Once she started using image making as a form of communication Jen created her own ways of telling a story that has transformed into her visual work. Jude Murray is a is a writer and poet, an independent, inter-spiritual minister, Druid and celebrant, musician, performer and certified embodiment facilitator who has recently retired from teaching yoga as an act of protest against its commodification. Her themes often relate to embodied experience as sacrament. 2nd Generation Irish settled in Derbyshire. Couple of previous short stories published, a few poems, some honourable mentions in competitions. Now finding time to write again after earning a living had to take priority. Jennie E. Owen’s writing has won competitions and has been widely published online, in anthologies, and in literary magazines. These include Agenda Poetry, The Rialto, Envoi and Iota. She has MAs in both Creative Writing and English and works as a Lecturer in Creative Writing. Jennie E Owen lives in Mawdesley, Lancashire with her husband and three children. Pahnl are a Birmingham-based duo of street artists who take influence from comics and street signage, adding their own subversive twist to bring their world of small characters to life. Notable exhibitions include Upfest 2018 and 2017, Underground (2016, Hoxton Arches), A History of Us (2015, The Herbert) and Do Look Down (2013, London West Bank). “My latest full length title is Mad Dog, about a werewolf in a prison break. Sandeep Parmar is a poet, Professor of English Literature, BBC New Generation Thinker and Co-Director of Liverpool’s Centre for New and International Writing. She has published two collections of poetry: The Marble Orchard (Shearsman, 2012) and Eidolon (Shearsman, 2015), which won the Ledbury Forte Prize for Best Second Collection in 2017. Sandeep also edited The Collected Poems of Hope Mirrlees (Carcanet 2011), and was author of Reading Mina Loy’s Autobiographies: Myth of the Modern Woman (Bloomsbury 2013). Jeff Phelps’s fiction has appeared widely including in London Magazine & Critical Quarterly. He has had two novels published by Tindal Street Press. His poetry pamphlet, Wolverhampton Madonna (Offa’s Press) came out in 2016. He lives in Bridgnorth, Shropshire. Rabbit’s practice links the sublime, within society and nature. To subvert themes of sexuality, horror, and the human condition, to produce an uncanny and even cathartic experience for the viewer of my work. These terrors are a personal response to his childhood fears transported in to adulthood. Mir-Yashar is a graduate of Colorado State University’s MFA program in fiction. His short-stories have been published or are forthcoming in various journals including Gone Lawn and Foliate Oak Magazine. Tol Shangin was born in Kazakhstan and grew up learning Soviet nursery rhymes by heart. She received her BA in English and Anthropology from Heidelberg University and only had the guts to write after attending Ciaran Carson’s Poetry Workshop at Queen’s University Belfast, Northern Ireland. She currently teaches English in a mountain village in Georgia. Her first publication has recently appeared in Twyckenham Notes. Michele Sheldon’s short stories have won and been shortlisted for many different prizes including Kent Life, Folkestone Literary Festival, Bridport Prize, the Colm Toíbín International Short Story Award, Wells Literary Festival, Frome Literary Fesitval, and HG Wells Short Story Competition. They have also been published in different anthologies including two volumes of Stories for Homes, and magazines including Rosebud, Storgy, Here Comes Everyone, Kent Life, Cabinet of Heed and Woman’s Weekly. She co-hosts live lit events in Kent with Hand of Doom Productions and had her first play, Flagpole, performed at Dover Castle as part of the Marlowe Theatre’s Return of the Unknown project to mark WW1. Rachel Stevenson grew up in Doncaster, South Yorkshire and now lives in London. She has contributed to Smoke: A London Peculiar, The Mechanics Institute Review, Short Story Sunday, Firewords, A Cuppa and an Armchair book, The Guardian travel section, Are You Sitting Comfortably podcast, and her work has been made into a short film for the Tate website, narrated by Christopher Eccleston. She has been longlisted for the Commonwealth Writers’ Prize and the Royal Academy/PinDrop Short Story Award. Ric Stott is an artist based in Sheffield whose work includes painting and drawing and their relationship with each other and writing that explores the spiritual and the sensual. Taking insights from his experiences in medical science, theology and art psychotherapy he considers ideas in his work that focus on sexuality, spirituality and the impact of place on our sense of self. With an emphasis on the boundary blurring aspects of queer experience he sees painting and drawing as an exercise in embodied spirituality and weaves together male bodies, remarkable places and transcendent experiences to provoke questions about how different places affect who we are and how body and spirit are intimately entwined. He has recently completed his MFA in fine art at Sheffield Hallam University. Performance Artist working in ritual and ceremony to explore catharsis and healing for trauma. Particularly interested in the absent mother, neurosis and ritualistic performances that explore our relation to death.